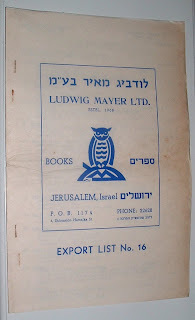 In 1880, the revered American poet and scholar, Henry Wadsworth Longfellow (1807-1882), bought a book printed in Pennsylvania German from H.L. Fisher, a York, Pennsylvania lawyer and poet. Fisher evidently self-published the book and had pre-printed receipts ready for the sales. I have in my collection the receipt he made out to Henry W. Longfellow for his purchase of a copy of 'S Alt Marik-Haus Mittes In D'r Schtadt, Un Die Alte Zeite, a centennial poem in Pennsylvania Dutch. So what interest did Longfellow have in some obscure German language book from a Pennsylvania lawyer who liked to write? That was one question I had when trying to determine if this were really the same Longfellow (how many Henry W's could there be?). I don't know of any specific interest in Fisher. That may be forever lost to history. But in researching Longfellow and Fisher and related people, places, and events, I discovered a bigger picture about Longfellow and his collecting and scholarly pursuits that puts his Pennyslvania German acquisition into a better perspective. Longfellow's ability in the ancient classics, while studying at Bowdoin College in the 1820s, led the trustees to establish a new chair of Modern Languages and offer the position to Longfellow. But first, he was instructed to study in Europe to prepare himself in the langauge and culture of France, Spain, and Italy. Before setting sail, he met with George Ticknor in Boston. 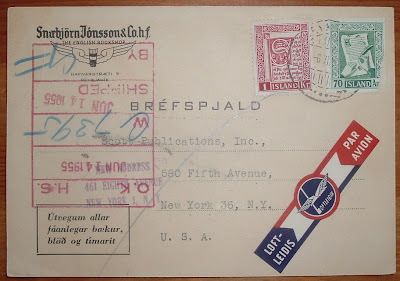 Ticknor's strong recommendation that the young graduate include Germany in his itinerary sowed the seeds of Longfellow's lifelong interest in Germany and its literature. Longfellow returned after a few years to Bowdoin College to teach and later was offered a similar position at Harvard on the condition that he travel again to Europe, at his own expense, and attain more expertise in the German language. His love and scholarly pursuits of German were lifelong and just a few years before his death, the receipt above indicates that he was still reading and studying German. I don't know the extent of his interest in Pennsylvania German or if it were something he aspired to late in life. But he knew enough to select a title from Fisher, "whose admirable contributions to Pennsylvania-German literature easily place him among the most gifted and fertile writers in the dialect." 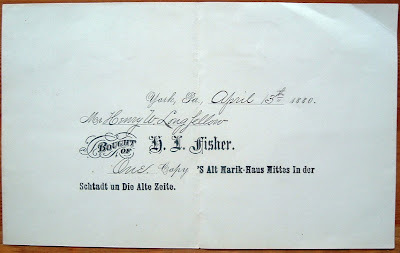 That attribute to Fisher is from a 1902 Pennsylvania-German Society publication article, Metrical Translations from the German and English Classics and from the Irish and Scotch Dialects into Pennsylvania German, by Thomas C. Zimmerman. I consulted two biographies of Longfellow to learn more about him and attempt to find any connection he had to Pennsylvania German literature: New Light on Longfellow, with Special Reference to His Relations to Germany, by James Taft Hatfield (Houghton Mifflin, 1933) and Longfellow: A Rediscovered Life, by Charles Calhoun (Beacon Press, 2004). I wound up reading both and recommend them, as well as Harvard's Houghton Library site, Public Poet, Private Man: Henry Wadsworth Longfellow at 200 for anyone interested in his life. 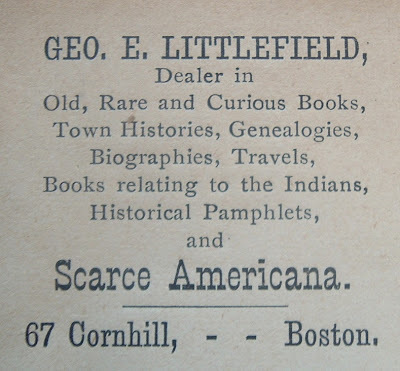 There's a lot more to the man than Hiawatha and other anthologized relics from an immense, albeit faded (in popularity), American literary legacy. I found a bookmark the other day, which I can't read, in a book that I also can't read. Both are in Russian language, printed with the Cyrillic alphabet. I took a semester of Russian in the early to mid 1990s, thinking it might come in handy with my writing/editing work at NASA. It didn't. Some of our astronauts, civil service personnel, and contractors were taking courses in Russian and traveling to Russia for work with the International Space Station. It couldn't hurt in that environment to have some knowledge of the language and culture of our Russian counterparts, right? Well, Russian for me was a "painful" language to learn, so yeah, it did "hurt." I was also taking Spanish just because I liked the language, excelled at it in grade school and later grades, and I wanted to get reacquainted with it. Spanish was a cake walk. Russian was an ordeal. About all I remember is a chunk of the Cyrillic alphabet and some of the sounds associated with individual symbols. 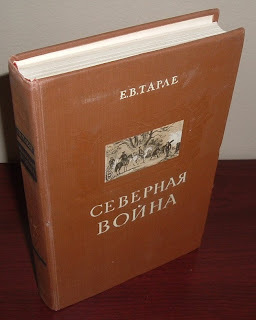 Maybe enough to do some transliteration with the help of my Russian language books and the Internet. Conjugating verbs? No recuerdo nada en Ruso. But I don't have the time to spend translating this, or attempting to. Maybe some day. Anyway, the bookmark is still pretty cool looking. Pretty unique, too, for my collection. And the book has interesting looking foldout maps. Maybe I'll stick it on ebay for a buck and say if you can read it, you can have it cheap. 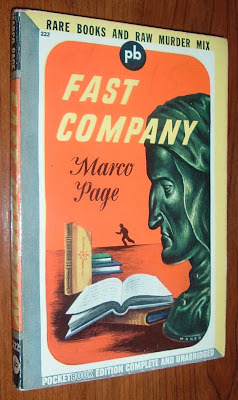 Unless it turns out to be some rare first edition, in which case it will stay with my bookmark. But how would I know? Baltimore Printing History: "The Printing Office"
Here’s an interesting printer’s receipt I bought recently from an Austin dealer because the word “Books” appeared in the upper, left corner of the paper. 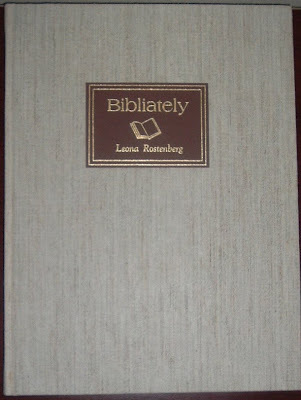 It probably refers to blank books, but I liked the look of it enough to buy it anyway. 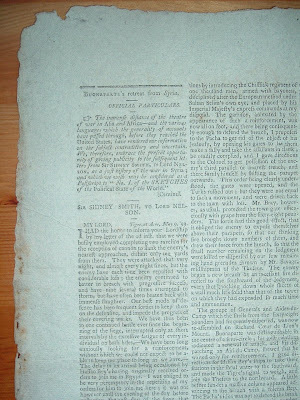 This paper predates the Civil War and given Baltimore’s rich colonial and Revolutionary history, I thought there could be a connection to some interesting history beyond the date on the paper. I think I may have been rewarded for my reasoning. 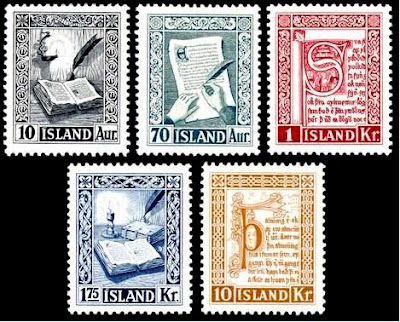 I find nothing of historical significance about the printing transaction indicated—payment received from a Mr. Francis V. Moale, an estate trustee, for 25 handbills. But the building where “The Printing Office” was headquartered is the portal for a look back into not only Baltimore’s history, but American Revolutionary history. The Sun Iron Building, where the printer was located, was built in 1851 and was one of the first iron-frame buildings in the city and served as a model for other buildings. Sadly, it was destroyed in the Great Baltimore Fire of 1904. 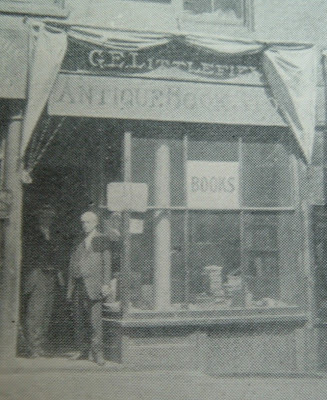 But the site where it was built had also once been the address of a printer named William Goddard, who, coincidentally (or not), called his business The Printing-Office (with a hyphen). He started the business in 1773 in the house that once occupied the same lot where the Sun Iron Building later stood with its Printing Office. A year later, his sister Katherine Goddard would join him in the business, where William had also begun publishing two Baltimore newspapers--the Maryland Journal and the Baltimore Advertiser. There are many links to pages about Katherine Goddard, but I chose the one above because it's the only one I found that has an image of her. Christopher T. George provides a more detailed account of her life at http://www.baltimoremd.com/monuments/goddard.html. This is where the history gets real interesting. 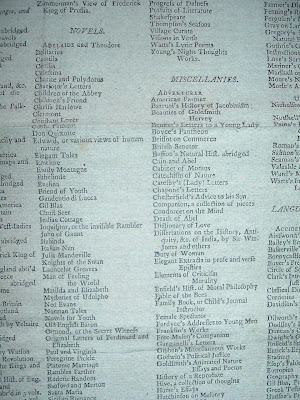 By 1775, Katherine's name began appearing in the paper as Publisher and Editor. While not a first in the Colonies, it was unusual. 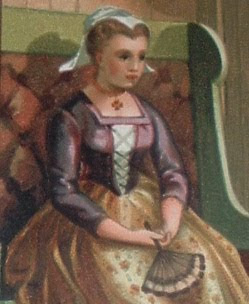 She quickly gained a solid reputation in the printing business and that year was also named Postmaster of Baltimore. 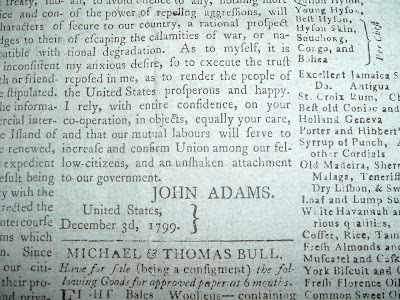 That was unusual and likely is the first appointment in the colonies of a woman to that position. 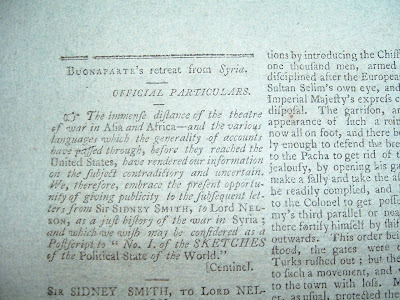 She began publishing news of events leading to the war for American independence. In 1777, she published the first printing of the Declaration of Independence that included the signers' names. 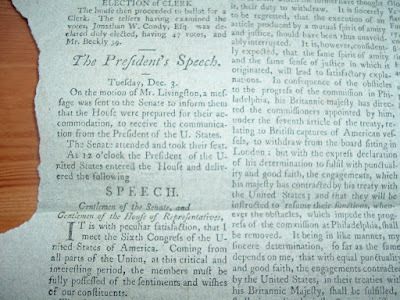 Certain radical groups, chief among them the Whig Club, tried to censure what she printed, such as criticism of General Washington several years into the war. She fought back for the freedom of speech and the press. 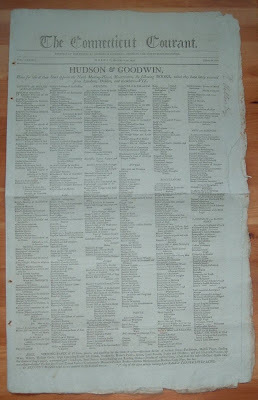 She continued in her roles as publisher, editor and postmaster well into the 1780s, when she was unfairly, it would seem, relieved of her postmaster duties and had a falling out with her brother, after which she left the newspaper business William started. But that wasn't the end of her entrepreneurial endeavors. 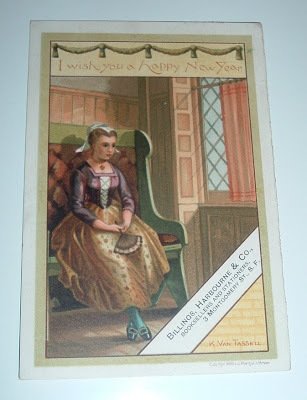 She continued on as a publisher and published her own almanac, which competed with that of her brother's. 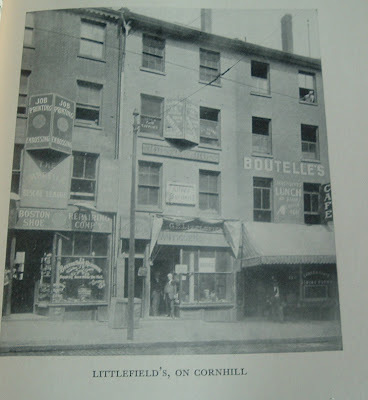 She also opened and operated a bookstore in Baltimore until 1802 when she retired from business altogether. She died in 1816 at the age of 78, having lived an eventful life in which she engaged the causes of independence, freedom of the press, and even women's rights. So can I connect my 1851 Printing Office receipt to a colonial printing office that evolved with a fledgling young nation’s struggle to turn its declaration for independence into the realization of a truly independent country? On July 3, 1887, the New York Times published a brief article that confirms my assumptions about the connection between the Goddard's The Printing-Office and the Sun Iron Building's The Printing Office more than 75 years later. I found the article here in the archives. This is about a letter about a book. 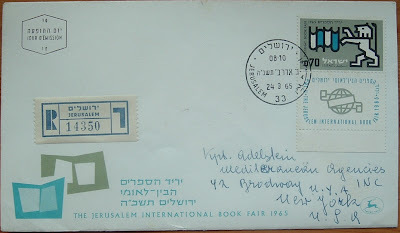 A very important book to the letter writer. A few years ago, I purchased a letter written in 1922 by an old Civil War soldier--a veteran of the Confederacy living in Austin, Texas at the Home for Confederate Veterans. 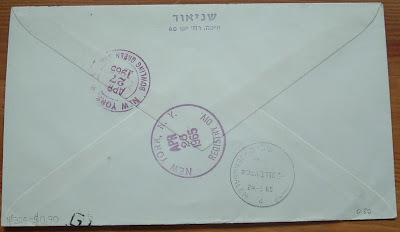 The envelope bears the Confederate insignia flag and address of the home. 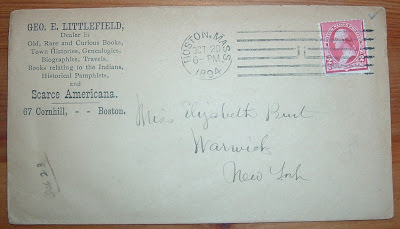 The letter was addressed to a Mr. J.J. Wolfe of Houston, whom I have presumed to be a bookseller. I wrote about this in another blog a few years back and now it seems more fitting that it be posted here, especially if my assumption about Wolfe's occupation is right. 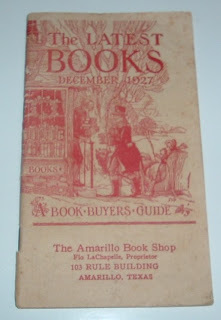 For the sake of this post, let's say I'm correct and Wolfe was a Houston bookseller in the 1920s. But even if I'm not correct, the letter is still about a book. 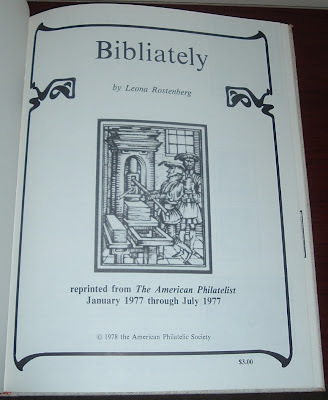 So either way, we have a bibliophemera connection. The writer of the letter--the old Rebel vet--thought Mr. Wolfe might be able to help him momentarily escape his "prison" (he states he is an "inmate of the Home") and "rent" him a book about his homeland--Davidson County, Tennessee. It's a poignant letter from an old man at the end of his life, who appears to want to see his boyhood home one more time, if only through the pages of a book. John L. Young is the Confederate veteran. His brief bio is found here at the Texas State Cemetery site. 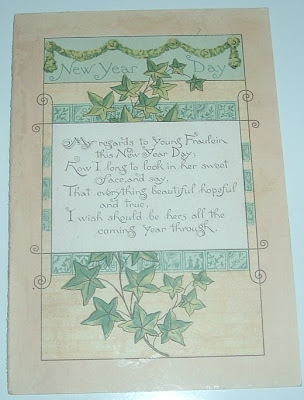 From it, we learn Mr. Young's age, 84, at the time he wrote the letter. We also learn that he was from Nashville and that he was listed as a deserter during the Civil War. Apparently, he signed up for 12 months and was taken prisoner, but was released after he'd been in service for 12 months, so he decided he'd had enough. Assuming his obligation was over, and presumably having no more use for the war, he tried to get on with his life. He's unaccounted for between 1862 and 1877. Maybe he was on the run. But he showed up in Texas about 1878 and worked as a farmer, presumably until he went to the Confederate Home. He signed his name Dr. John L. Young, but it's unclear why he did so. By all accounts he was a farmer, but he did board with two doctors late in life, until he went into the "Home." Perhaps Dr. became a sort of nickname or maybe he thought it give him more credibility in a world where he might not have had very much status. His life long ago shaped by the events of the War Between the States, Young still seemed to retain a nostalgic sense of place for his boyhood years in Tennessee. By the time he finds himself in the Confederate Home in Austin, Texas, and writing this letter as an old man, his financial situation is pretty dire and he could not afford a copy of the Davidson County book from another correspondent--a Mr. A.W. Mountcastle of Lenoir City, Tennessee. I don't know if Mountcastle was a bookseller, but he was a friend to all Confederate veterans according to his profile on this Tennessee genealogy site. I corresponded some time ago about the purchase of a book he [Mountcastle in Lenoir City, TN] had History of Davidson Co Tenn. I was born and raised in Nashville and wanted the book but felt I was not able to buy it. I am a veteran of the war between the states and an inmate of This Home supported by the state. 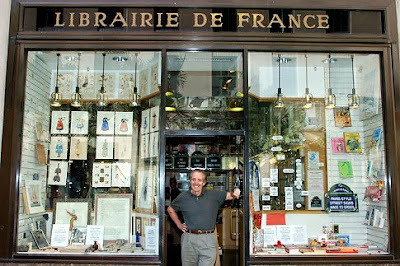 I wish to know if I can rent your book for one month. I propose to pay expressage both ways and promise and pledge to keep it absolutely clean and free from abuse. This will be a great favor to me. I will promise that no hands shall touch it but mine. Please write me in care of Confed Home. P.S. Please write me if you are a Tennesseean and are you a civil war veteran? What part of Tennessee are you from? Every time I read this letter, I wonder how Mr. Wolfe in Houston responded to the old man. Or did he bother to respond at all? Did Mr. Young get to read about his old homeland and see images that would enhance time travel back home through his aging memories? 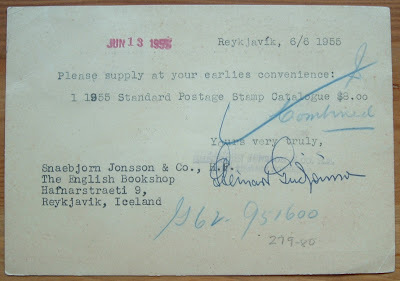 What would a bookseller today do with such a request? Unless it was a collectible book of great value, I'm pretty sure I would send the old man the book with my compliments and tell him to enjoy it. 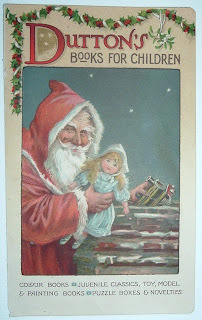 As for the book Mr. Young wanted, I searched books with Davidson County in the title, published prior to the letter's postmark of 1922, and found only one match: History of Davidson County, Tennessee, with Illustrations and Biographical Sketches of its Prominent Men and Pioneers, by W.W. Clayton (Philadelphia, 1880). 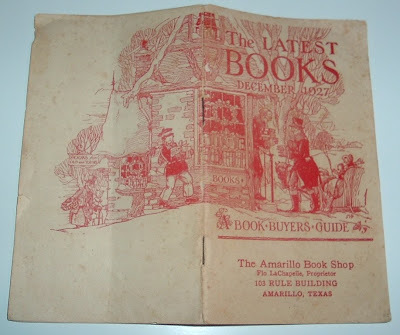 Not long after purchasing that letter, I purchased a musty old book at an antique store in a small Texas town (Wallis): Civics: Texas and Federal, by Triplett and Hauslein; Rein & Sons (Houston, 1912). I bought it for an old document left between the pages long ago. It had more value to me than the neglected book that had archived it all these years. I had just about tossed it into the donation pile when I decided to thumb through its pages for any interesting old photographs. I was rewarded for my efforts. Many historical images from around the state of Texas began to appear, but one in particular caught my eye--the Home for Confederate Veterans in Austin, John L. Young's "prison" in his final years. And it does look kind of like a prison! 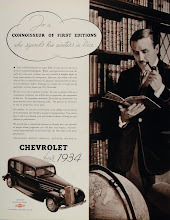 A while back I wrote about a piece of advertising ephemera that used a bibliophile angle to sell a new 1934 Chevy: Advertising with bibliophiles. 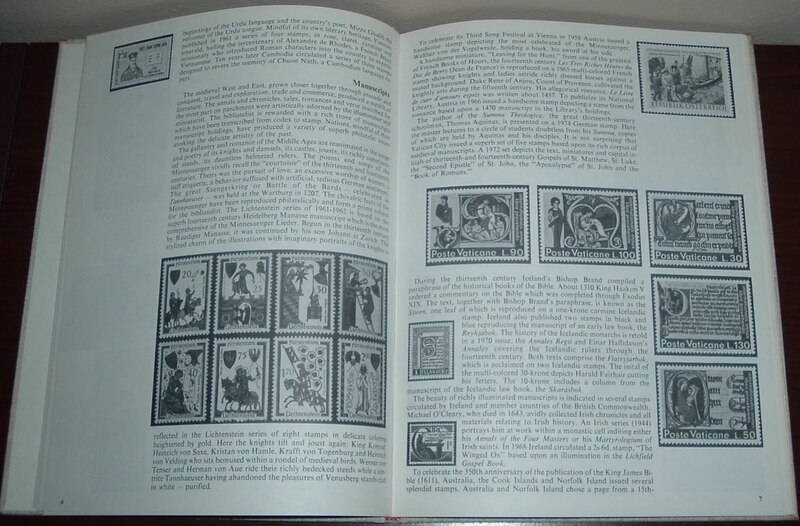 Below are more examples of Madison Avenue having tapped into the biblio vat for just the right image to sell a product. It's whisky rather than wheels this time. Kentucky Tavern evidently has a certain quality comparable to rare volumes of books. Either that or its quality is quantifiable by a metric consisting of many books. 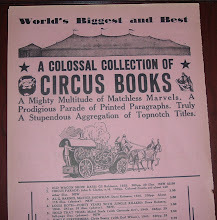 That's about it for this ad--the books are more or less a cheap prop. Plus, it looks like the two drinks are Manhattans (cherries being the clue). Any bibliophile worth his bitters could tell you that straight rye is the preferred elixir for that cocktail (even though I fudge a bit with Maker's Mark). 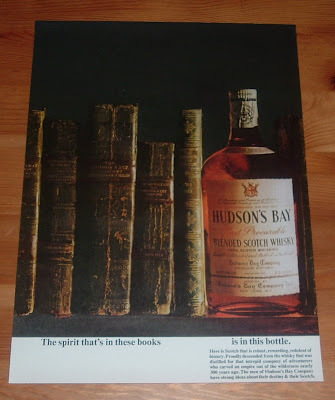 Hudson's Bay Blended Scotch Whisky, on the other hand, used in this next ad a set of what appears to be very old and valuable books and a clever play on words with the line, The spirit that's in these books... is in this bottle. The antiquarian books are about the Hudson's Bay Company and the adventurous exploits of its men in the New World. Further, Hudson's Bay Blended Scotch Whisky makes the claim that it "descended from the whisky that was distilled for that intrepid company of adventurers who carved an empire out of a wilderness 300 years ago." I don't know how you would substantiate that claim, but, personally, I think rare books of the Hudson's Bay vintage match up better with a single malt Scotch, not a blend. 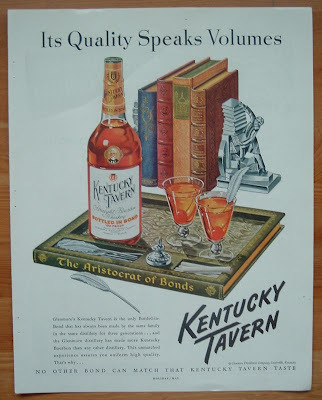 Regardless, anytime I can find interesting ephemera, such as these ads, that use books to pitch the quality of a product, I'll... well, I'll drink to that! 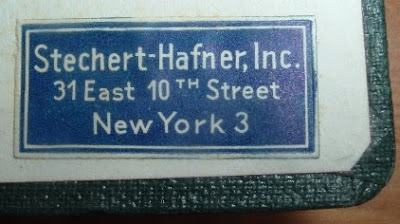 The World's Fair was in New York, 1939-1940, and there were probably many companies who used that event in their advertising ephemera. Barnes & Noble was no exception. Here is a piece of ephemera that appears to have been part of a World's Fair souvenir booklet of some sort. 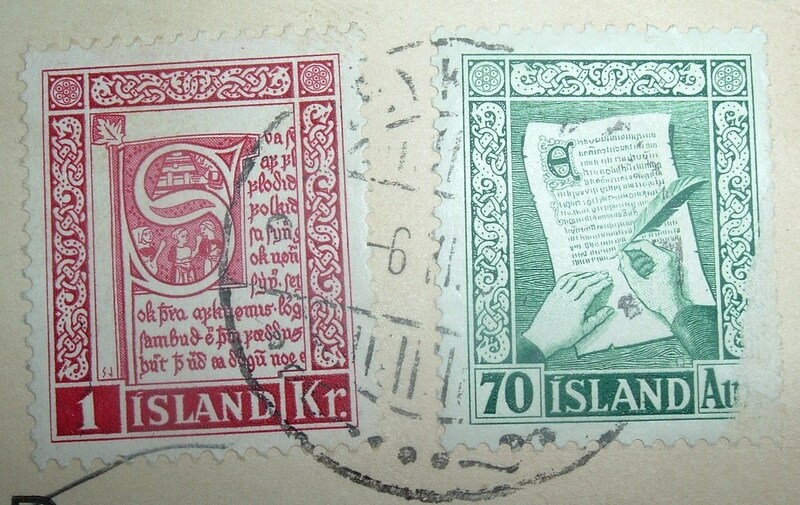 Perforated edges and a gummed back indicate it was part of a set of stamps. Thankfully, this little item survived the separation that usually damages such items. It measures 1.5 by 2 inches. 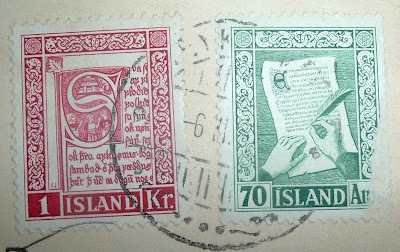 Printed on this stamp is VISIT OUR STORE in large type. In smaller type below, almost as an afterthought, is the rest of the message... 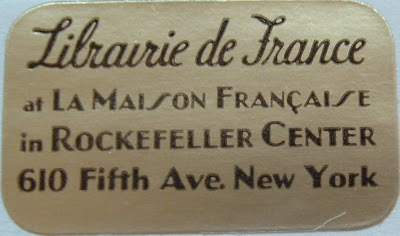 While in New York for the World's Fair. 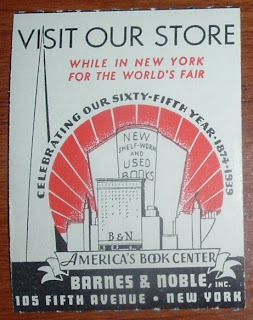 Barnes & Noble already had a long history in New York by 1939. 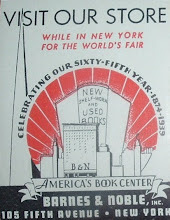 The bookseller with the slogan, America's Book Center, had its genesis in two different cities, actually, with different family booksellers. But the two families did not merge their businesses as the name might imply. 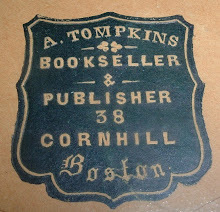 The Barnes family bookselling business originated in Wheaton, Illinois in 1873 and by 1894 was selling only school books. 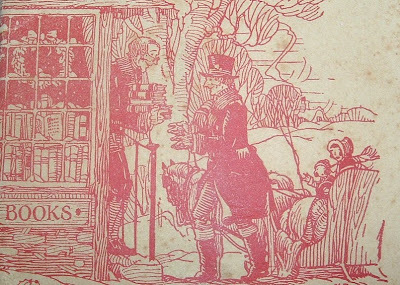 By 1917, William Barnes, son of the founder, sold his interest and moved to New York, where he acquired an interest in an established educational bookselling firm, Noble & Noble. He partnered with G. Clifford Noble, who had been in the book business with two partnerships previously--Hinds & Noble and Noble & Noble. After Barnes joined the latter, the bookstore was soon renamed to Barnes & Noble. This partnership lasted until 1929, when Noble left, but the name stayed. Barnes & Noble's name recognition by that time must have been too significant to toy with. The Barnes family kept control of the company until 1969, when John Barnes died and it passed into other hands. 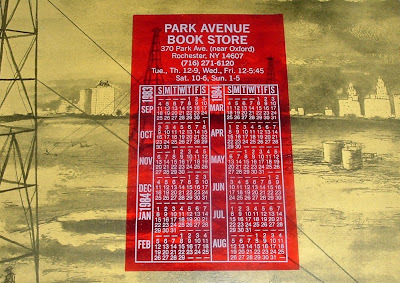 On the first day of October, here's a book mark for the new month... 1950 that is. It comes from Ted's Book Shop in Kansas City. Designed for the season, it features an open book next to a Jack O'Lantern, an apple, and a dark house with a leafless tree silhouetted in the background. You instantly think Halloween and pumpkins and haunted houses. And, of course, a good book is appropriate anywhere. 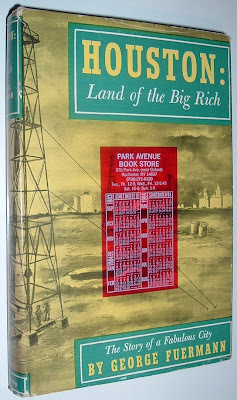 If you were looking for something to read on a chilly October night in Kansas City that year, Ted had some suggestions for you. 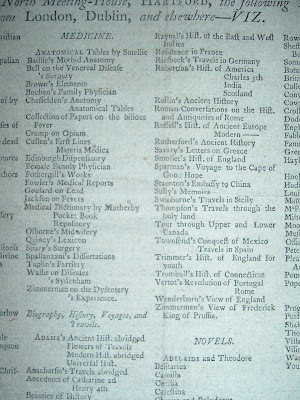 The front of the book mark lists seven titles with brief descriptions. No authors are indicated, but everybody's reading them. The flip side of the book mark displays a calendar and a list of new and recommended books--titles with authors such as Heyerdahl's Kon-Tiki and Hemingway's Across the River and Into the Trees. 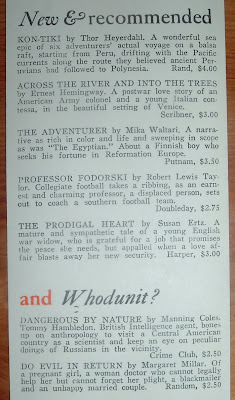 A couple of Whodunits round at the reading recommendations. 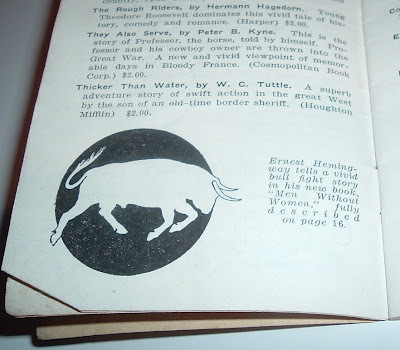 The Hemingway book, in fine condition fresh off the press, cost $3 in 1950. Today, you could get three- to four-hundred times that amount for the book, the trick being to find a first printing in Fine condition. But what a treat that would be!